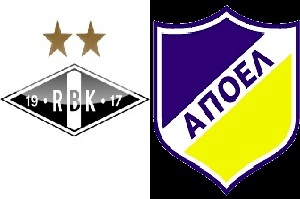 Rosenborg will play against APOEL in the Champions League - Qualification on Wednesday. Rosenborg eliminated Swedish Norrkoping in the previous qualifying round. They are taking the first place in the Tippeligaen with 12 wins, 4 draws and a single loss till now and goal score 37-10. At home they have 9 wins out of 9 games played and goal score 28-5. The Cypriot first division starts from August and APEOL does not have enough games and match practice behind them. The odds opened at around 1.99 dropping fast to 1.72. I expect Rosenborg to win comfortably at home before they play in Cyprus next week.